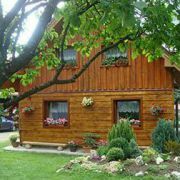 Guest-house and wooden cottage are situated in village Terchova and have beautiful view at mountains Mala Fatra … More » and ski resort Vratna. Hiking, biking, paragliding, skiing, snowboarding. 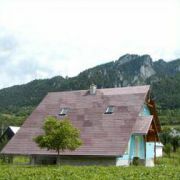 Cottage is situated in beautiful milieu of Little Fatra mountains (Mala Fatra) in village Stefanova. This village … More » is an ideal staring point for hiking - many tourist tracks start here. Beautiful view on mountain Velky Rozsutec. Pets aren't allowed! The newly built wooden cottage in the valley Vratna dolina (Stary Dvor) is situated in part Tizinka, opposite the … More » ski lift Vratna - Paseky. 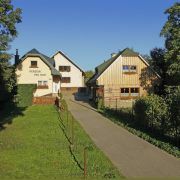 Cottage in part of village Terchová - Vyšné Kamence. Garden with fire place by the house. Completely equipped kitchen … More » , TV, 2 bathrooms with WC. 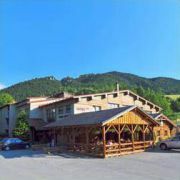 Ideal conditions for skiing at the near ski centre in Vrátna dolina, in summer for hiking to beautiful nature of National Park Little Fatra. 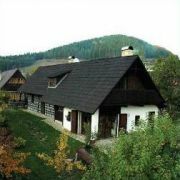 Hotel offers accommodation in the small village Terchova, at the tourist trail from the rock canyon to well known … More » valley Vrátna. Jánošíkova Diery offers beautiful waterfalls and hiking ladders. Wooden cottage BRUNDZOVCE = cottage in the historic zone of village CiCmany, known for its unique architecture … More » of painted wooden houses. We offer accommodation in two separate apartments with high standard equipment. Total capacity of the entire cottage is 13 beds + 4 extra beds.